LONDON, ON, July 19, 2017 – CarGurus, a leading consumer automotive car shopping website, today announced it has named Competition Toyota a “2017 CarGurus Top Rated Dealer.” This marks the first year CarGurus is presenting the awards in Canada after launching the program in 2015 among U.S. dealers. 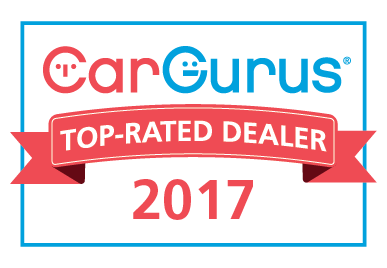 The CarGurus Top Rated Dealer awards are given to a select group of car dealerships that have received the highest average ratings from shoppers who have submitted dealership reviews on the CarGurus platform. CarGurus uses shoppers’ dealership ratings as well as comprehensive valuation analytics to help shoppers search their local marketplace and find great car deals from top-rated dealers. Founded in 2006 by Langley Steinert, co-founder of TripAdvisor, CarGurus (https://ca.cargurus.com) is a leading online automotive shopping website focused on bringing trust, transparency and efficiency to the car research and shopping experience. The site uses technology and market data analysis to help millions of automotive shoppers search for cars and quickly identify the best deals from top-rated dealers in their local area. Today, in the United States, the site serves 23 million unique monthly users and more than 22,000 subscribing dealers, and ranks #1 among car shopping websites in the U.S. by daily unique visitor traffic (ComScore Media Metrix*). CarGurus launched its Canadian site in 2015 and also operates sites in the United Kingdom and Germany. *ComScore MediaMetrix (April); CarGurus ranks #1 for daily unique user visits among the following companies: Autotrader, Cars.com, Edmunds, KBB, CarFax, NADAGuides.com, eBay Motors U.S.